Mercer University is one of America’s oldest and most distinctive institutions of higher learning, offering rigorous programs that span the undergraduate liberal arts to doctoral-level degrees. With more than 8,700 students enrolled in 12 schools and colleges on campuses in Macon, Atlanta and Savannah, and at four regional academic centers around the state of Georgia, Mercer is consistently ranked among the nation’s leading institutions by such publications as U.S. News & World Report and The Princeton Review. Our more than 76,000 alumni are making important contributions to their professions and communities throughout Georgia, the Southeast and the world. Mercer is the only private university in Georgia to field an NCAA Division I athletic program. While offering a breadth of programs found at much larger universities, Mercer maintains an intimate, student-focused culture more characteristic of smaller liberal arts colleges. 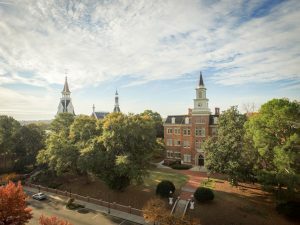 A distinguishing quality of the Mercer experience is the way the University integrates five defining components of its mission: liberal learning, professional knowledge, discovery, service to humankind, and community. 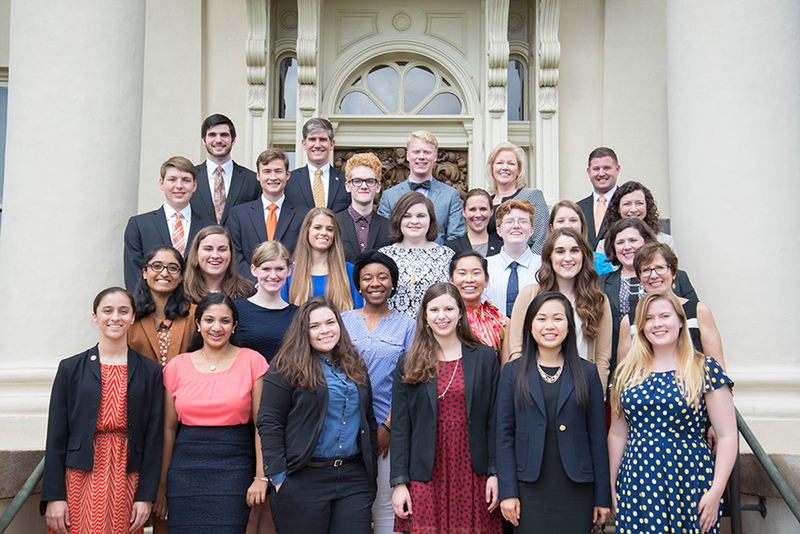 The Stamps Scholars Program at Mercer University emphasizes the initiative of the individual, from engaging in philanthropic efforts worldwide to conducting research to demonstrating a passion to improve local communities. Mercer Stamps Scholars showcase the potential that young, emerging minds can have on the world. Five members of each Mercer freshman class are selected for the Stamps Scholars Program. The students chosen for this prestigious honor are among the highest achieving applicants in the entering class. The scholarship covers the full cost of attendance, including tuition, fees, room, board and books. In addition, Stamps Scholars each receive a $16,000 stipend over four years for enrichment activities, such as study abroad or undergraduate research. * Submit all required Mercer admission application components (application, test scores, transcript and résumé) by October 15th. * Have demonstrated qualities of leadership, perseverance, scholarship, service to humankind and innovation. Mercer applicants who meet academic criteria and the above requirements will receive a supplemental Stamps Scholars Program application and will be invited to campus for an interview in December. Finalists will be notified on or before March 31. For more information about the Stamps Scholars Program at Mercer University, contact the Office of University Admissions at (800) 840-8577 or admissions@mercer.edu. Learn more about Mercer at mercer.edu/admissions.